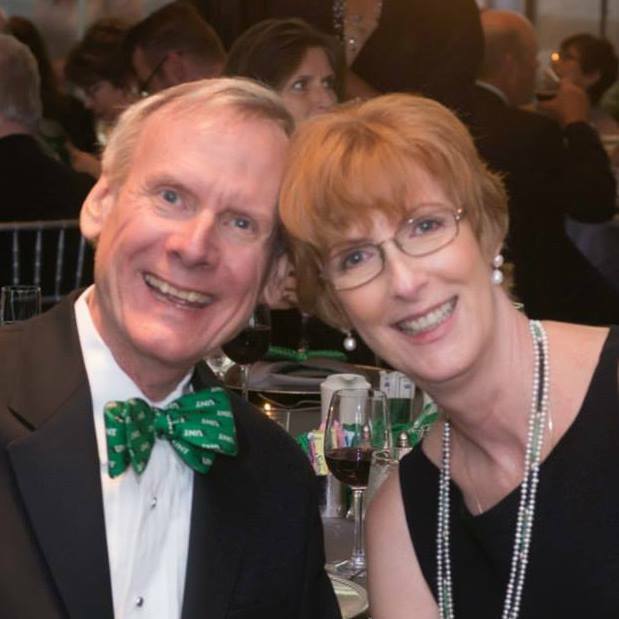 Bill and me at the Salute to Faculty Excellence awards dinner at UNT, September 2014. I am a lecturer in public relations in the Mayborn School of Journalism at the University of North Texas and consultant in PR, strategic communications and social media. As a seasoned, accredited strategic communicator I have experience in internal and external corporate communications, governmental affairs, community relations and crisis management in the energy, environmental, petrochemical, and healthcare industries. I’m a student and practitioner of social media with the goal of seeing all strategies applied in an integrated communications environment. I am available for speaking on social media and public relations, ethical decision making, strategic communications ethics, social media strategies, and other topics. I have an undergraduate degree in journalism, radio/TV and English from the University of Kentucky and my Master in Journalism from North Texas State University (now UNT, where I teach). My husband, a “Navy brat,” and I met and married in Indianapolis, Indiana and lived in Riyadh, Saudi Arabia for 3 years before migrating to Texas. After a brief stint in Plano we lived in Houston for nearly 20 years (where Bill worked in HR for a variety of organizations including NASA contractors, energy companies including Enron (about which he wrote a chapter for the book Enron: Corporate Fiascos ), and management consulting before returning to Denton, Texas in 2005. I was caregiver to his father, who showed signs of dementia, before his death in 2009 at age 89. His disabled brother also needs care and attention, and I try to oversee his needs, although he’s pretty independent. Bill has a degree in European history with an art history minor from American University and a Master of Business Administration in finance from the University of Houston. Our life has included adventure travel in 23 countries, charity work supporting coastal preservation, wildlife habitat, and the Multiple Sclerosis Society, for which we completed seven MS-150 bike tours from Houston to Austin and three in North Texas. Photography, bicycle touring, cooking, gardening, opera, symphonic and choral music and art museums have occupied our leisure time. We never had children, but have loved an array of cats and basset hounds, as well as one cockatiel, over the years. We are as active as we can be with St. Mark Catholic Church in Denton, and the Denton ACTS community while also lending support to the St. John Paul II University Parish supporting the University of North Texas and Texas Woman’s University Catholic Communities. We sing in the choir and Bill is a third-degree member of the Knights of Columbus. (Bill joined the Catholic Church in 2010, just about the time his symptoms started to become evident.) Our faith community has been great support to us during this journey, and I’m discerning ways to share my faith in writing. Alzheimer’s has stolen our future, our retirement, but we refuse to let it ruin our lives in the moment. Despite all our travels, in Europe, the Middle East, Africa, Asia and Latin America, together we never made it to Paris and Rome. Bill visited both as a youth (and was blessed by Pope Pius XII during a papal audience) but we never got there together (and I’ve never seen either). We chose to explore more exotic, changing parts of the world because we wanted to see them before they became too modernized. Paris and Rome could wait because, well, they’d always be there. Retiring to a little hacienda in Guanajuato, Mexico won’t be an option, either. A word to the wise: Don’t put off until tomorrow what you can do today, because you don’t know what tomorrow will bring. I want a world without Alzheimer’s Disease so nobody has to regret postponing a dream until it’s more convenient, and so they don’t forget the dreams they lived for themselves. I’d love to hear from you. Comment on individual blog posts, or contact me using the form below. Thank you for reading my blog.